This paper cut card is simply delightful! 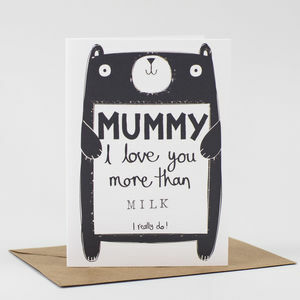 A perfect card for Mothers Day. A breath of fresh air, adding a modern twist to a traditional floral theme, this card is sure to bring a smile. 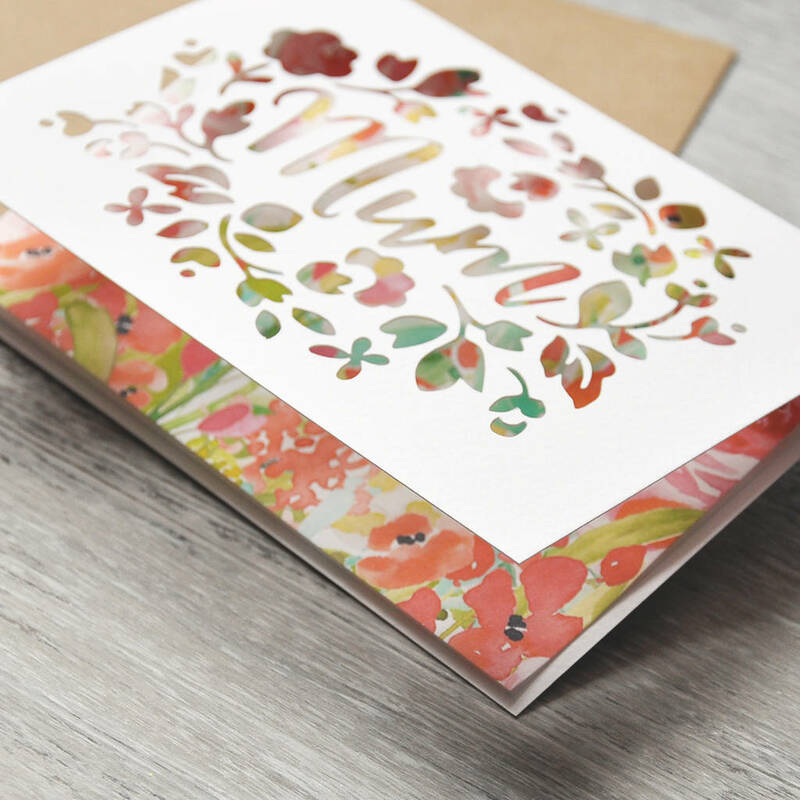 Through the paper cut lettering and flowers, you get a glimpse of the gorgeous watercolour print. 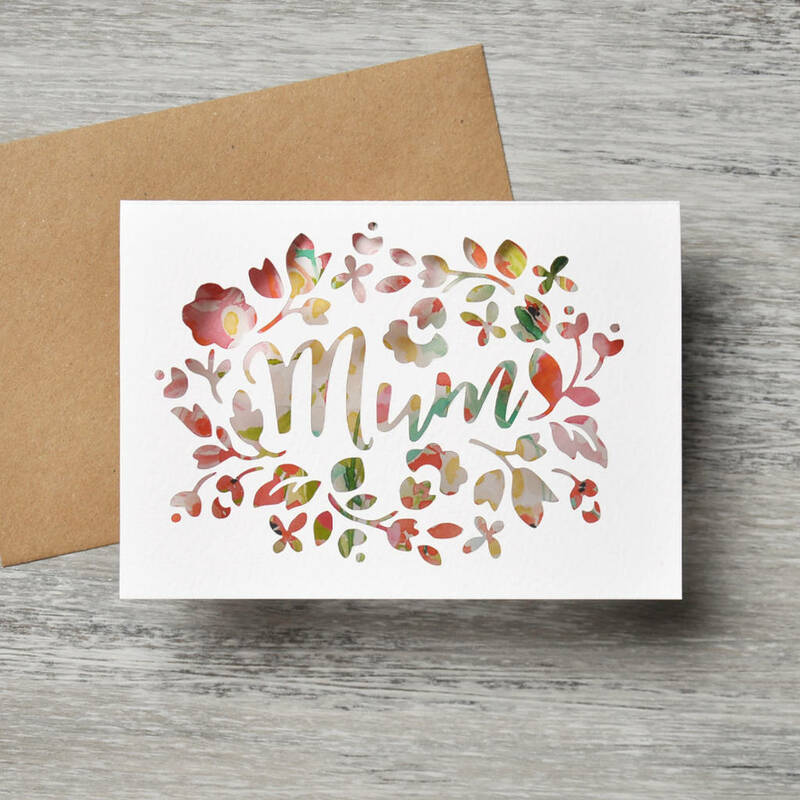 The print is a mix of hand painted flowers, including roses and eucalyptus, as well as soft sweeping blooms, mint leaves and flowering buds in bright co-ordinating colours. 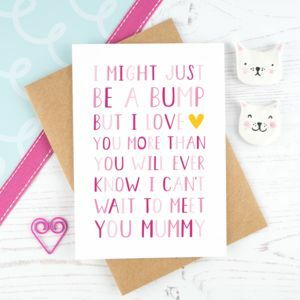 Once the occasion has been and gone, you don't throw this card away, oh no! 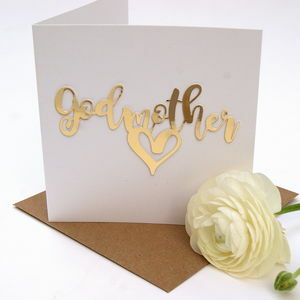 These cards have been designed to become a treasured memento of the special day. Simply pop the card into a mounted picture frame and 'hey presto!' 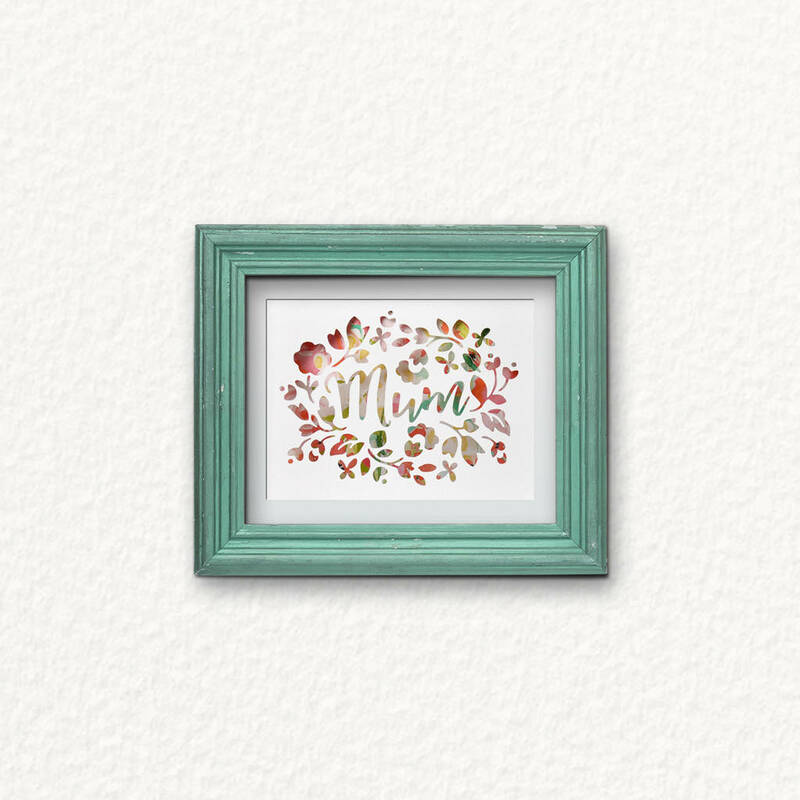 a beautiful personalised piece of artwork. 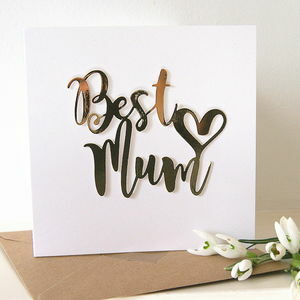 All our cards are left blank inside for your own message and arrive in a clear protective cellophane sleeve. Lovely crisp & clean, yet soft to the touch 250gsm Italian textured card, matching textured liner and brown fleck kraft envelope. This product is dispatched to you by Mint Nifty.